Take on school work by day (and bad guys by night) with this comfy, water-resistant backpack! 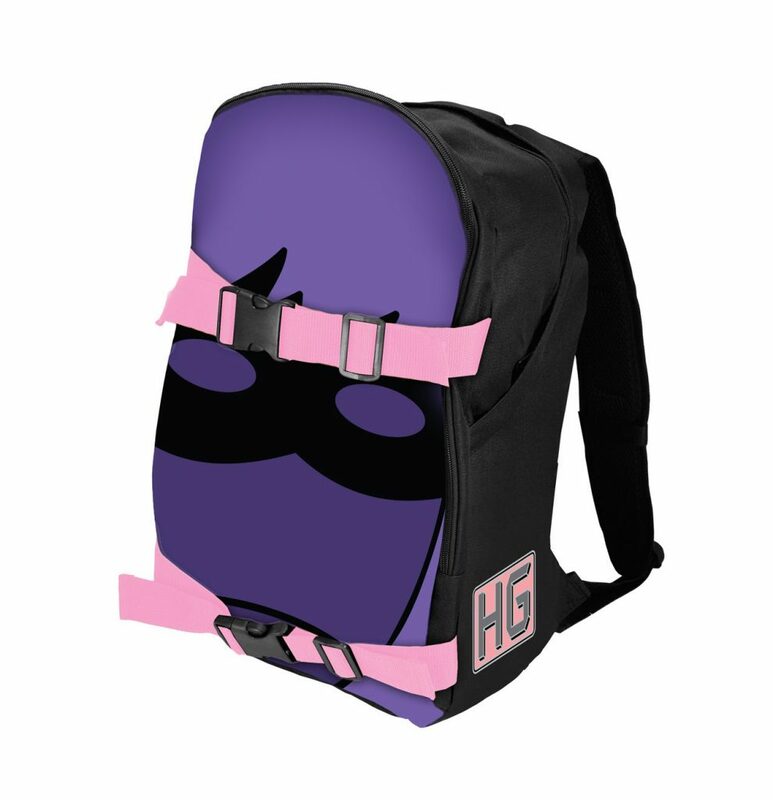 Inspired by Hit-Girl’s costume, the black, purple and pink design includes a large Hit-Girl mask print on front, and her initials on the sides. Two spacious zip compartments hold everything you need, and double front buckles adjust to keep everything secure (or strap down additional items). And so you can carry it all in the utmost comfort, the back and adjustable shoulder straps are extra padded.